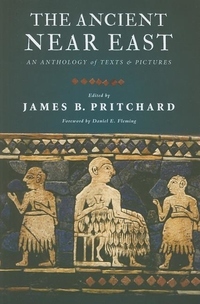 James Pritchard's classic anthologies of the ancient Near East have introduced generations of readers to texts essential for understanding the peoples and cultures of this important region. Now these two enduring works have been combined and integrated into one convenient and richly illustrated volume, with a new foreword that puts the translations in context. With more than 130 reading selections and 300 photographs of ancient art, architecture, and artifacts, this volume provides a stimulating introduction to some of the most significant and widely studied texts of the ancient Near East, including the Epic of Gilgamesh, the Creation Epic (Enuma elish), the Code of Hammurabi, and the Baal Cycle. For students of history, religion, the Bible, archaeology, and anthropology, this anthology provides a wealth of material for understanding the ancient Near East.